Emir of Ilorin warns against collection of bribe for herdsmen residence in Kwara – Royal Times of Nigeria. Following the influx of people into Kwara state, the emir of Ilorin Alhaji Sulu Gambari has called on all Magajis, Alangwas and all leaders across communities in the state to desist from accepting Fulani herdsmen into their community without the emir’s approval. He also warned against the collection of settlement bribe from the herdsmen. 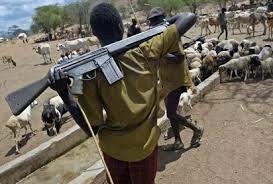 The emir who made the call at a stakeholders meeting organized by the Kwara state police command for the Miyetti Allah Cattle Breeders Association of Nigeria, MACBAN and other stakeholders on security issues as it concerns the state, noted that there is a need for settlement control for security reasons. The commissioner of police Olushola Amore, who called on stakeholders to always organized meeting in a bid to maintain peace in the state, explained that the meeting remains imperative in an effort to resolve the crisis between herdsmen and farmers. 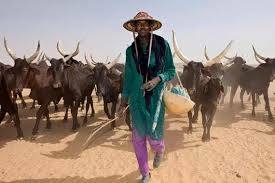 Speaking at the event, the secretary of MACBAN, Abdullasis Mohamed said the association has enacted a law which prohibits herdsmen from vandalizing farms. The chairman of Magagi Forum, Alhaji Abdulwahab Sanni noted that it would be difficult to disallow settlement of anyone in respect to the Nigeria constitution.